I’ve always talked about how in love I am with my 2011 classmates from Soka University of America (SUA) in Aliso Viejo, California where I pursued my undergraduate studies. Heck, here’s the not-so-secret love letter I wrote to them back in August 2012 when we were just one year out of college. I decided to share my life update to my classmates again in the most recent newsletter and wanted to post it here as well so you can read about what I’ve been up to. I’m impressed that even after six years since graduating, we’re basically the same. We’re better versions of ourselves now but the endearing quirks and personalities of our class are very much alive. What inspires me about the Class of 2011 is that although we’re all appreciative of our lives, we’re not content with being complacent. We keep finding ways to accomplish bigger things by going out there and exploring our potential. My life isn’t where I want it to be but I’m challenging that with you too. He talked about how UX designers do a lot of research to understand users’ problems related to the products and design compelling experiences through innovative methods. The most important thing is about how users feel when they use the products. The way he described the nature of the work sounded perfect for a humanities graduate like myself so I decided to test it out and see if it’s a career path I’d like to pursue. I started out by taking online classes through Coursera, reading tons of books and blogs on design, attending events through Meetup and workshops, participating in all-day UX hackathons (design competitions), reaching out and talking to industry leaders, and writing about the entire process all while holding down my full-time job as a paralegal. Every day, I fall in love with design more and more. 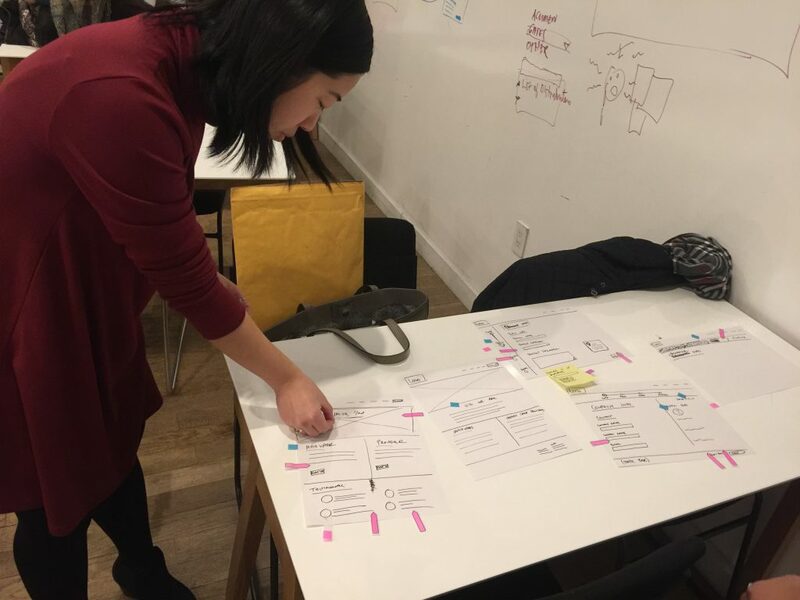 It’s a harmonious blend of analyzing human behavior, identifying and validating problems, designing solutions and iterating on the entire process. To date, I’ve completed two major client projects (here and here) and am working on bringing the UX design process at my current workplace. As someone who is not from a traditional design background, proving my value as a humanities-driven UX designer has been challenging but I thrive under that pressure. 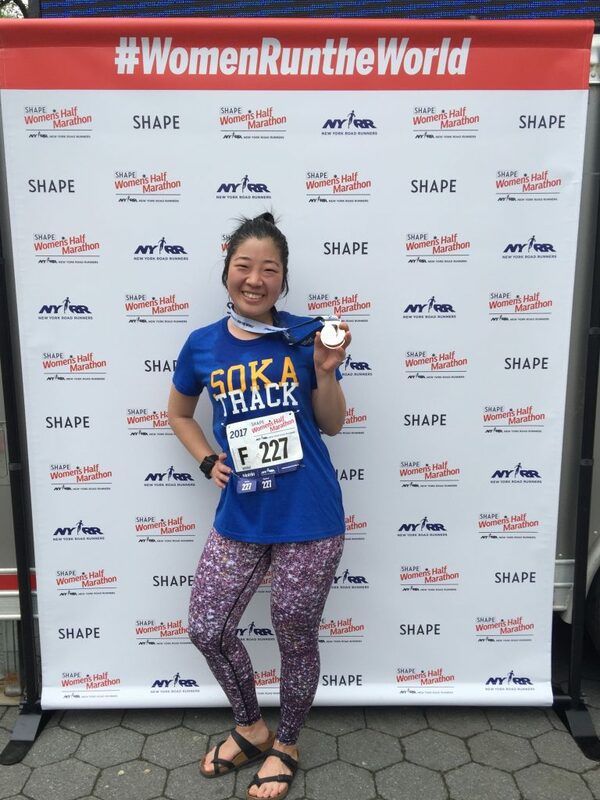 If that wasn’t enough, I’m also actively racing in New York City with New York Road Runners (NYRR) and training for my first-ever marathon this November. When I started running with some of you ladies a decade ago in 2007, I knew it would be the starting point toward my dream of running the biggest marathon in the world. It took a while but I’m proud to say that I earned my qualifier for the NYC Marathon last year and am finally running this thing! Going from “I’d like to do it one day” to “I’m training to run it this year” is terrifying but feels totally badass. Being part of the Cross Country and Track & Field teams at SUA was the biggest highlight from my four years there and I’m thrilled to bring it back full circle by training for the marathon. My ultimate goal is to earn my Six Star Finisher status by completing all six World Marathon Majors (New York City, Chicago, London, Boston, Berlin and Tokyo). If you’re in NYC during the first weekend of November, I could really use your cheer! Finally, congratulations to each of you for all your life accomplishments. Some of you completed your Master’s, got married, switched industries, had kids (or are having), moved to a new city, published books, started businesses and everything in between. We’re the epic class for a reason: we continue to raise the bar on what it means to be liberal arts graduates from the greatest university in the world. With the current state of the world, we still have a lot of work to do. Let’s continue to grow, make trouble (in the best way possible, or course), stay epic and live contributive lives for the sake of others.